The annual Commissioning Masses Catholic school teachers, education and support staff and clergy offer prayers in the Diocese of Palmerston North and the Archdiocese of Wellington were celebrated in February to pay tribute at the beginning of the year ahead to the crucial role of educators in our Church and society. Photo supplied by: Debi Marshall-Lobb, Tumuaki, Hato Pāora College. 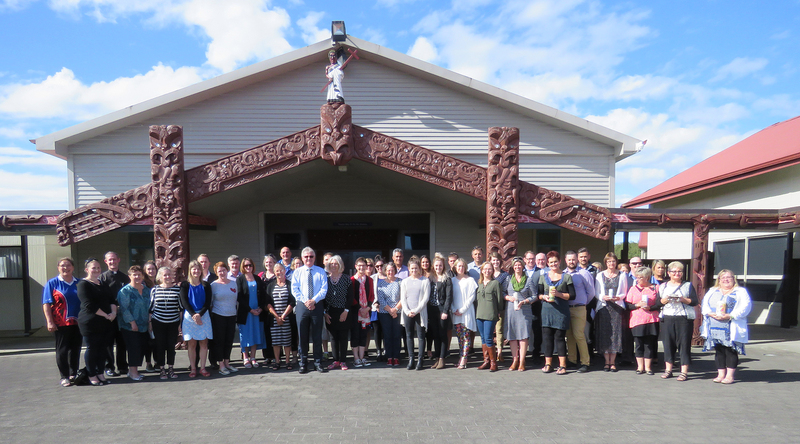 The Catholic schools’ staff of the Manawatu area gathered on February 9 at Hato Pāora College for the 2017 Commissioning Mass, celebrated by Fr Brian Walshe and concelebrated by Fr Vaughan Leslie. Tumuaki Debi Marshall warmly welcomed us to Hato Pāora and shared an interesting history of the kura. Fr Brian reflected on what it is to be a teacher in our kura Katorika and marvelled at the levels of dedication and committment of those in our schools. The students of Hato Pāora led us in the singing and the staff hosted a feast afterwards. 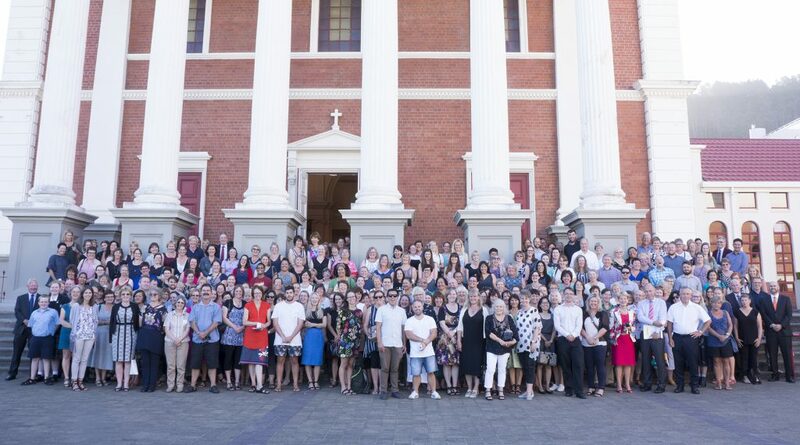 With grateful thanks to this whanau for their manaakitanga (welcome) and to all the staff who were able to attend and make this a wonderful celebration of Catholic Education. Mā te Atua koutou ngā pouako e mahi ana i roto i ō tātou kura Katorika e whakapai tonu! May God continue to bless those who work in our Catholic schools! Words: Nick Wilson, PN Diocese. The 2017 Commissioning Mass for Archdiocesan teachers and staff in the lower North Island was celebrated at the Cathedral of the Sacred Heart on 21 February. In his homily, Cardinal John Dew spoke about the transfiguration of Jesus. Peter, James and John who were with Jesus, heard the voice of God saying ‘This is my Son, the beloved, listen to him’. ‘That’s what brings joy into families and in the way you work together as staff in a Catholic school. 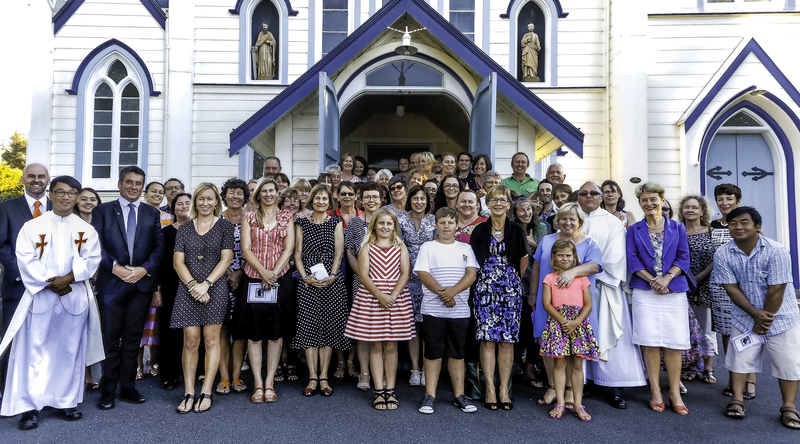 Catholic teachers and staff from the top of the South Island met at St Mary’s Church in Nelson for their Commissioning Mass on Friday 24 February. It was celebrated by Fr Bill Warwick and concelebrated by Fr Seph Pijfers, Fr Andrew Kim and Fr John Pearce cp. Fr Bill reflected on ways we can meet the challenges of supporting student spiritual growth in the year ahead. There was a warm and collegial atmosphere with the teachers meeting after Mass to share their hopes for the year ahead. Grateful thanks to the whanau for their manaakitanga and to all the staff who were able to attend and make this a wonderful celebration of Catholic education. May God continue to bless those who work in our Catholic schools.